is usually the last thing people consider when planning out their landscape. There are many things homeowners must do to maintain their home and yard. They must keep the lawn mowed and flower beds weeded, walkway cracks filled and last but not least keep the trees pruned. All of these steps that homeowners take keep their home healthy and salable. Mowing and weeding are things that homeowners can and do take on themselves with little problem. Unfortunately, tree trimming is an often underestimated task that homeowners take on and end up doing more damage than good simply because they are uninformed. This is why hiring your local tree trimming contractor is your best bet in ensuring the safe and healthy pruning of your trees. In order to trim your trees properly, there are three major considerations you must make: tree diseases, proper trimming methods and timing. While attempting to learn all of these topics for each family of tree you have on your property is daunting, your local tree trimming contractor is already familiar with them and can handle the task without hesitation. When you gaze at your hundred year old oak, you may not think of this stalwart tree as a delicate living entity prone to disease and fungus. Without this knowledge, you may decide to trim the tree in the middle of August. Sounds benign, trimming your oak tree in the middle of August, but did you know that a dangerous disease called oak wilt runs rampant in August? Did you also know that oak wilt can result in the death of your stalwart tree? Not only is oak wilt a danger for the tree you trimmed in an untimely manner, but it also spreads quickly between trees, infecting your entire property. Trees are prone to disease more often than you might think. Almost every type of tree or tree family out there has its own insidious disease that can kill it and spread to other trees. These diseases may be viruses or bacteria- but no matter which they are they are difficult if not impossible to cure without tree removal. 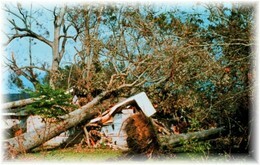 Since trimming trees makes them more susceptible to the diseases, it is important that the trees are trimmed during a time of year when the disease is dormant. When you hire your local professional tree trimming contractor to trim your trees, you can feel certain that he or she will know the best time of year to trim your trees-no matter what kind they are. Why risk the health of your trees and, possibly, your entire landscape? Oak wilt is just one of the many dangers you expose yourself to when you attempt to trim your trees without the assistance of a professional tree trimming contractor. Knowing where and how to trim branches is yet another challenging aspect of tree trimming. If you leave too much of a stump on the branches you trim, you create an opening for fungus and disease to enter your tree and kill it. As it dies, your tree becomes weaker and is less able to withstand stress. This makes it a danger around people and structures. Your tree must be able to build up additional bark around the area you trim in order to protect itself from invading dangers. 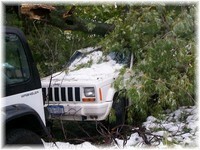 Your local tree trimming contractor knows how and where to cut your tree limbs to help facilitate fast recovery. Both maple and flowering trees offer two of the best examples about the importance of timing when deciding to trim trees. There are certain times of the year when maple trees are more prone to 'bleeding' after they’ve been cut. The bleeding is actually a leaking of maple from the area that has been trimmed. This leaves a sticky stain on your tree that can ruin clothes and discolors bark. Your local tree trimming contractor knows the best time to trim maple trees and other types of trees with similar issues. If you have a tree that flowers annually, you must be careful when you trim the tree or you may remove all the flower buds for the following spring. The beautiful look of the flowers with their intoxicating scent may be lost for one season or more if you do not wait until the right time to prune them.